Kedara Village Resort is enclosed by a ring of forests in the midst of serenity and beauty of nature. With gorgeous rooms and adventurous activities, this makes for a contented holiday! Whether you’d like to stay in a tree house or an underground cave, Kedara Village is a beautiful resort that is both affordable and innovative at the same time. The two-acre lush green forest hosts campfires at night to keep you warm and great local fare to keep your bellies happy. While their Egyptian Tent House welcomes you with the sweet chirping of birds, the honeymoon suite is perfect for cuddle sessions, and wait for it...it has a bathtub (bring out your bath bombs and wine glasses). 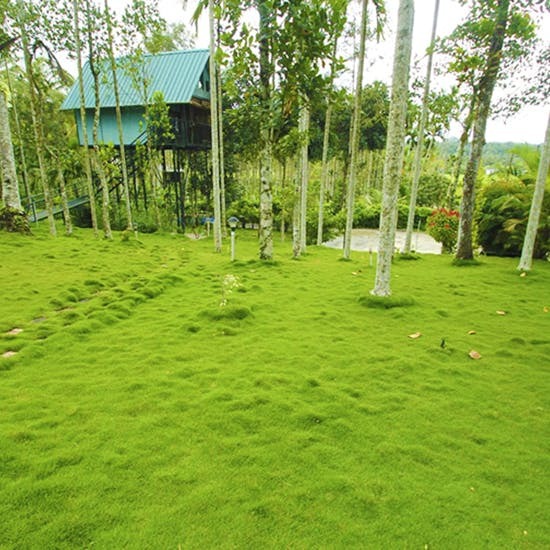 The resort is located very close to Sulthan Bathery which has many tourist attractions. The Muthanga wildlife sanctuary is home to birds and animals like the Hanuman Langur and Sambar deer. Feel free to trek here or explore the forests with a jeep safari. Have a picnic at Meenmutty waterfalls and get your dose of spirituality at the Jain temple here. Starting at INR 2,500 upwards per night, spend a weekend here indulging in their spa and meditation room (can we get an ‘Ooomm’?). The resort is popular and gets booked out quite in advance because of its affordability. So be sure to book your room much in advance if you’re planning a trip to Wayanad.